Given the chance, most dogs will eat anything and everything -- so it's our job to make sure their diet is not only satisfying, but safe. 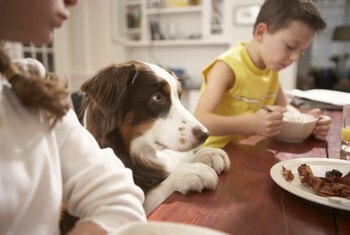 Protect your pooch by learning the top faux pas foods to avoid. Skull and crossbones alert! Grapes and raisins can be highly toxic for your dog, says Rick Woodford, author of "Feed Your Best Friend Better." 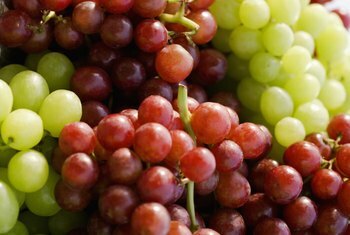 "As little as three or four grapes could cause problems for a 50-pound dog," says Woodford, adding that these foods can cause kidney damage or failure. File this under "Captain Obvious," but you should never, under any circumstances, slip your dog an alcoholic drink. "There is nothing funny about giving a dog a sip of beer or other alcoholic beverage," says Woodford. 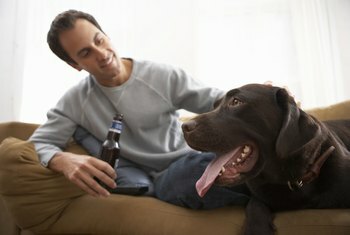 "Your dog is the ultimate lightweight, and just a little bit of alcohol can cause vomiting, seizures and even death." Every pup loves to gobble treats, but chocolate shouldn't be one of them. "The mixture of caffeine, theobromine and theophylline in any type of chocolate product can be toxic because they stimulate your pet's nervous system," says Woodford, who adds that cocoa powder is especially potent. 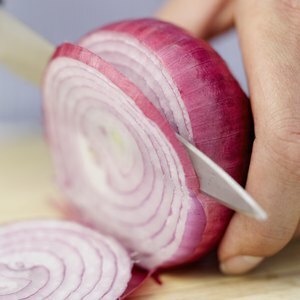 Many people think garlic is a doggie no-no, but it's actually onions that are on the blacklist. "Garlic is often misunderstood and [is] only toxic in great amounts; onions, however, are very toxic," Woodford explains. Whether fresh, dried or powdered, these bulbous veggies can cause Heinz body anemia and other serious health troubles. Oh, nuts! 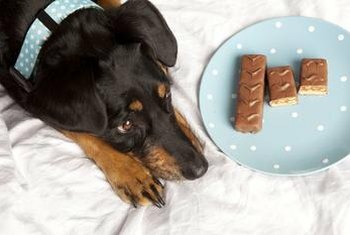 These popular snacks aren't so palatable for our four-legged friends. "Put these tasty treats up high," advises Woodford. According to Woodford, walnuts are dangerous because of mold, while macadamia nuts contain a toxin that could cause vomiting, muscle tremors or elevated heart rate. 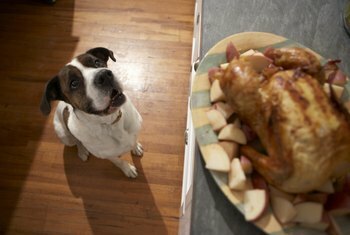 Your fur-baby may love to raid the fruit bowl, but the side effects can really be ... the pits. 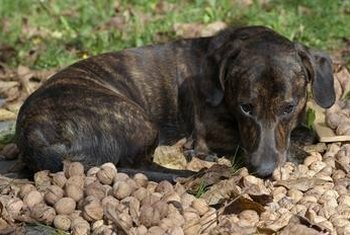 "Pits can cause obstructions in the digestive track, so if your dog happens to like apricots, mango, peaches or plums, be sure to remove the pit prior to serving, regardless of your dog's size," says Woodford. While oils and some animal fat should be part of your dog's diet, these foods walk a fine line. "What's not good for your dog is what's left on your plate after enjoying a delicious steak," says Woodford. "That steak fat has been spiced with salt and pepper, making it more likely to cause diarrhea, vomiting or possibly pancreatitis. The same logic applies to Thanksgiving turkey skin, which causes hundreds of pancreatitis cases every year." Not all salmon and trout are created equal; some habitats have issues with the fluke flatworm, warns Woodford. Most well-cooked and processed fish are safe and a great source of omega-3 fatty acids. 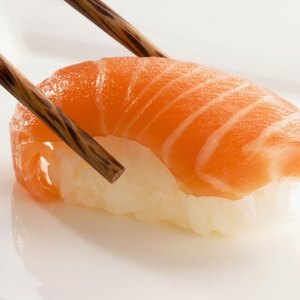 But Woodford says to avoid raw salmon and trout from the Pacific Northwest, which can be potentially fatal. Unless you want to shake things up in your dog's digestive system, steer clear of salt and processed foods. "There's enough sodium in a natural diet to meet your pet's daily requirement, so there's little reason to add more," says Woodford. 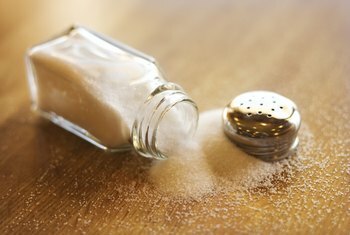 "Too much salt can cause electrolyte imbalances." Jen Jones Donatelli is a writer whose work has appeared in "Variety," E!Online, and many other print and online publications. Currently based in Los Angeles, she has a Bachelor's of Science degree in Magazine Journalism from Ohio University. Jones is also the author of the "Cool Crafts" book series for Capstone Press.